A steam train exits tunnel 3 in the early years of the line. The line from Mhow to Omkwareshwar was completed in 1876 as a part of the Holkar State Railway which was built to connect Indore, the capital of the Holkar State with the Great Indian Peninsular Railroad in Khandwa. Meter gauge was chosen at the time as it offered lower construction costs and the ability to negotiate tight radius curves in the ghat sections through the Choral Valley. 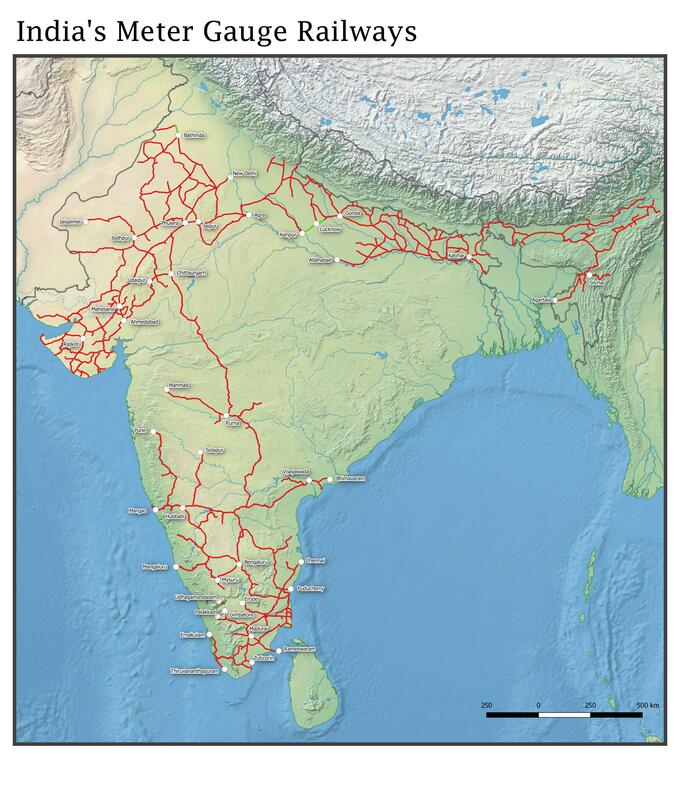 The line quickly became part of a larger metre gauge network and was merged with several other lines to form the Rajputana-Malwa State Railway. This new railway provided direct connectivity to Delhi, Agra, Jaipur and Ahmedabad via the meter gauge and formed the backbone of what would become a countrywide meter gauge network. The newly formed railway itself soon became a part of the Bombay Baroda & Central India railway as their Ajmer division, this continued until after independence when the railways were nationalised and the BB&CI was merged with several other companies to form Western Railways who continues to operate the line today. The lines importance increased immensely in 1963 when the line was extended from Khandwa to Hingoli, finally linking the northern and southern metre gauge networks. For the first time passengers and freight could travel all the way from northeastern corner of country in Assam to Rameshwaram just a few dozen kilometers by ocean from Sri Lanka without changing gauge. The line played host to heavy freight traffic transiting between the north and south as well as important express trains such as the “Meenakshi Express” which ran from Jaipur to Hyderabad which traveled approximately 1500 km all on the meter gauge. The line was also one of the last bastions of steam locomotives with the Mhow locomotive shed stabling dozens of YP and YG class locomotives for general service and banking until the shed as closed in 1998. However in the early 1990’s the lines fate changed again when the Indian Railways instituted project unigauge to systematically convert the entire rail network to 5’6″ broad gauge. 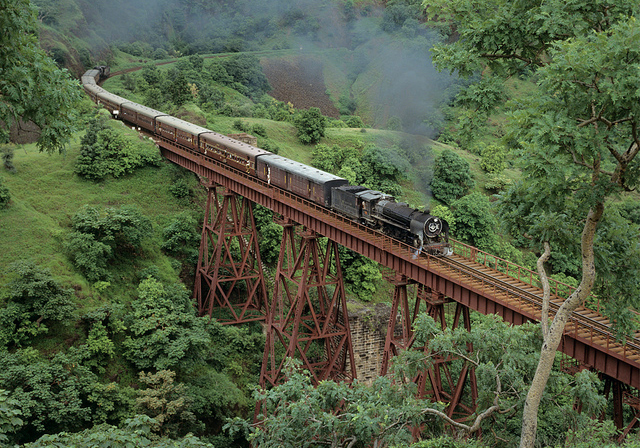 The conversion process quickly disrupted the meter gauge line as vital connections were broken and once again the northern and southern segments were disconnected in 1995 when the Purna to Mukhed section was converted. This began a slow decline for the remaining meter gauge lines as freight traffic dried up as goods could no longer reach their destinations on the meter gauge and express trains were cancelled when the remaining segments became too disconnected to short for priority trains to become viable. The Mhow-Omkareshwar route lost the Meenakashi express in 2006 when Jaipur to Ratlam was closed for conversion and the line was left with only all stop local trains. The difficulty of the terrain between Mhow and Akola meant that the line would be one of the last to see conversion and soon it became an isolated segment as the trackage on either side was converted. 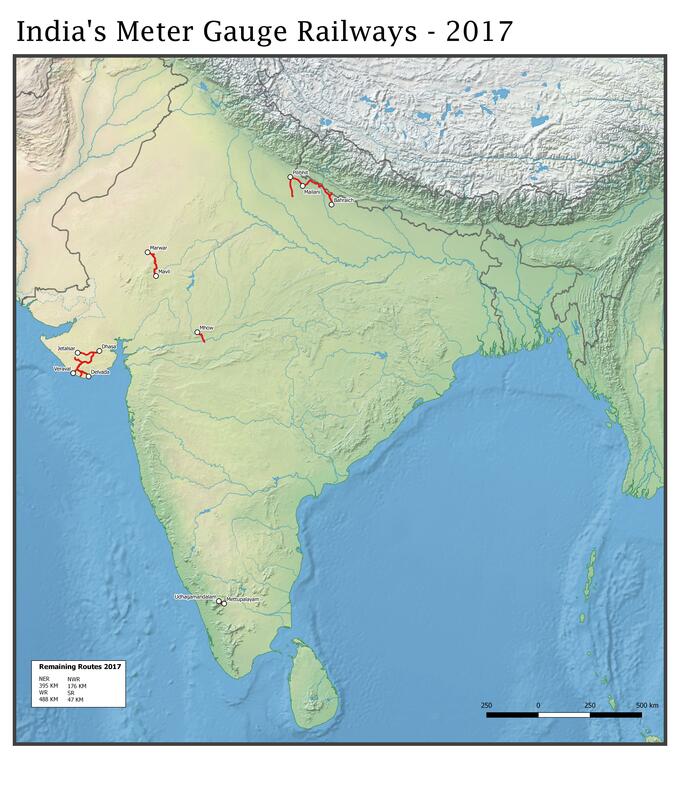 On Jan 1, 2017 the penultimate closure occurred with the line from Sanawad to Akola closed for conversion, leaving only an isolated segment through the ghats and over the Narmada River in place. The new line from Mhow will take an entirely different route to avoid the Choral Valley entirely leaving the meter gauge alignment untouched from Mhow to Balwara where the new alignment will rejoin the original line. The metre gauge network began in 1872 and grew as a series of independent railways that were slowly merged to form a cohesive rail system. For many years the north and south had two separate and disconnected metre gauge network. However they were finally connected in 1963 when the line from Khandwa to Hingoli section was opened. The last true meter gauge line to be built was the Himmatnagar to Udaipur segment in the late 1960’s which faced terrain as difficult as found on the line between Mhow and Omkareshwar. Several metre gauge lines in Assam were constructed in the early 2000’s but with dual gauge sleepers so they could be easily converted. Project unigauge has reduced the metre gauge down to a mere 1100 KM’s in only 4 railway zones, the remaining lines will likely be converted in the next 2 years with Mhow-Omkareshwar, and portions of the Mavli-Marwar lines being the only ones with any real chance of survival.